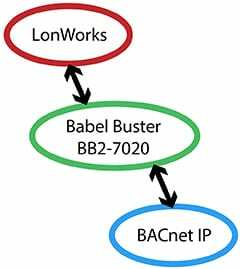 The Babel Buster BB2-7020 BACnet IP to LonWorks gateway connects multiple BACnet IP devices to a LonWorks network, mapping BACnet objects to LonWorks network variables. The BB2-7020 is a standard LonWorks node with bindable network variables. 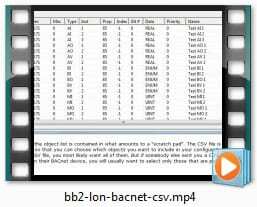 The BB2-7020 BACnet IP to LonWorks gateway can be a BACnet IP client or server. 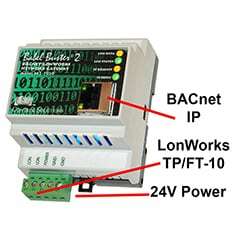 The BB2-7020 puts a BACnet device on a LonWorks network. 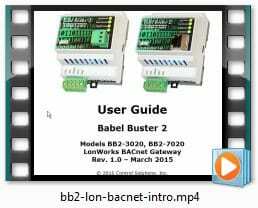 Do you need to put a LonWorks device on a BACnet network instead? If so, you want the BB2-7020-NB. 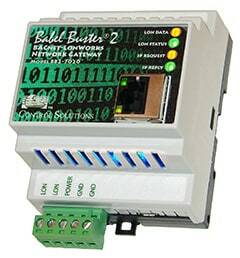 Control Solutions’ Babel Buster BB2-7020 is a bindable LonWorks® node that functions as a client or server on a BACnet IP network. A large number of data objects gives you flexibility in mapping BACnt objects to scalar or structured LonWorks network variables. Multiple data objects may be mapped a single structured LonWorks network variable. 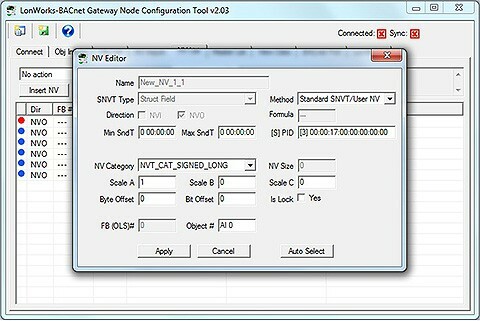 Input, Output, and Value objects are supported for BACnet Analog, Binary, and Multi-state object types. The BB2-7020 is most often used as a BACnet client, but it can operate as a server. 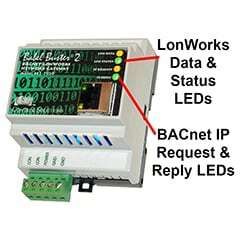 This makes it possible to put LonWorks devices on a BACnet network (but does still require binding and network commissioning with LonMaker or equivalent). The BB2-7020 provides a “pool” of 300 objects which may be allocated by the user to the object types desired. Any mix of Analog, Binary, and Multi-state Input, Output, and Value objects may be allocated. 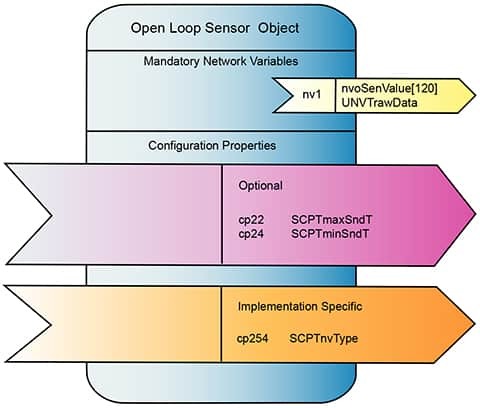 Output objects are commandable and include the standard priority array found in commandable BACnet objects.